MUSEUM ON THE SEAM featured WAR ROOM in international exhibit BARE LIFE together with Anselm Kiefer, Bill Viola, Bruce Nauman, Sophie Calle, Paul McCarthy & others (2007-2008). War Room images on display at the Museum on the Seam, Jerusalem, Israel. 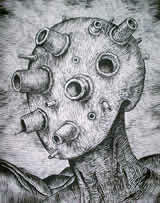 L-R: The Witnesses (partial view), The Victims, The Warriors. 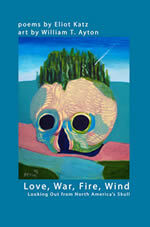 2009 -- a book of poetry & artwork by Eliot Katz & William T. Ayton: Love, War, Fire, Wind: Looking Out from North America's Skull. 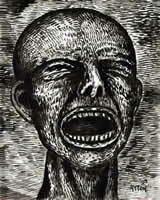 Features images related to War & The War Room. 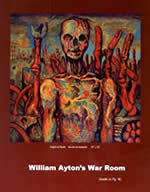 Eliot Katz also read some of his poetry in the Manhattan War Room reading in 2004.
and many other fine booksellers. plus back cover, "Empire of Death"
A PDF file of the article & back cover is available here (1.17MB). A PDF file of the article only is available here (960KB). 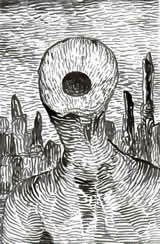 Clicking on the images above will take you to the article on the Direct Art web site. 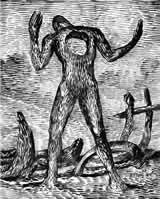 Warning: some of the images on this site are disturbing, but much less disturbing than actual war. The War Room Project website promotes the anti-war art installation "The War Room", which is currently being developed for exhibition. Here, you can find working sketches for the project, as well as additional works on related themes. 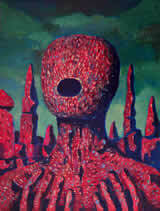 And visit www.ayton.net for Ayton's online gallery. 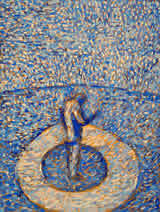 Several of the artworks featured on this site have already been exhibited in galleries/online. We are currently lining up installations of the complete War Room. Please check the news page for ongoing details. 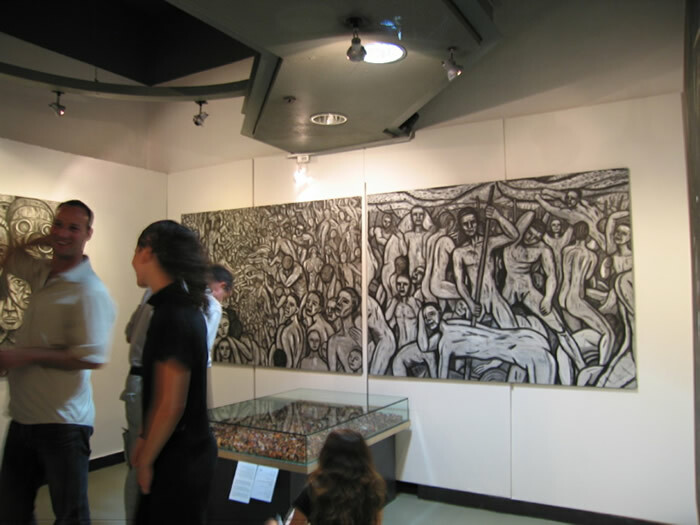 Oct 2007 - June 2008 -- The original painted studies for 3 of the War Room panels (The Warriors, The Witnesses, The Victims), as well as the small color painting, "Hiroshima: Ground Zero" were on display in Jerusalem, Israel, at the Museum on the Seam. 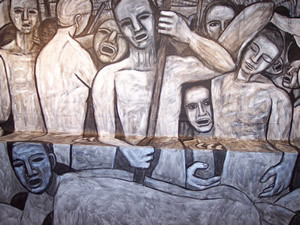 Oct-Nov -- "The Victims (study)" from The War Room was on view at the show "American Diaspora" at Victory Hall Cultural Center, Jersey City. 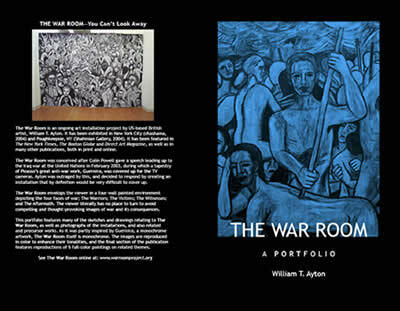 The War Room portfolio has been released soon via Lulu.com. It is 24 pages, printed in color (includes monochrome & color images). Price is $11 (US) plus S&H. 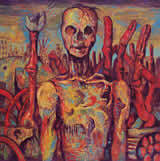 It is also available for download in web-resolution PDF format from this site, free of charge. 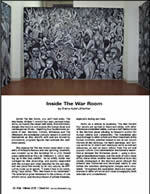 The War Room is featured in an article in the magazine Direct Art, volume 12, which is on sale in Oct-Nov 2005. Footage of The War Room (NYC) & an interview with the artist may be featured in an upcoming documentary about the relationship between art & politics, entitled "Art Rules". More details will be posted here when they become available. 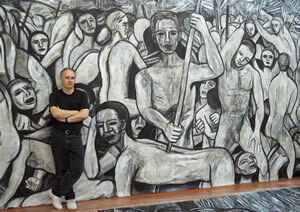 War Room -- small-scale installation: Albert Shahinian Gallery, Poughkeepsie, NY, opened August 21, 2004. War Room -- full-scale installation: Manhattan (part of the Imagine Festival), opening August 26, 2004, chashama gallery. More details coming soon. 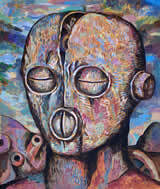 Online review of the Propaganda of War group show (Oct-Nov 2003, Washington DC), which contained several pieces on this site. The War Room needs you. Promote, endorse or contribute to The War Room's efforts. Support The War Room. Click here. You can now make a tax-deductible donation online. 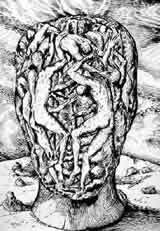 Art & images on this website are copyright William T. Ayton, unless otherwise indicated. For permission to reproduce these images for non-commercial or commercial purposes, and to obtain higher-resolution images, please contact: info@warroomproject.org.